Heskin auctioneers brings this three-bed detached home to the market. 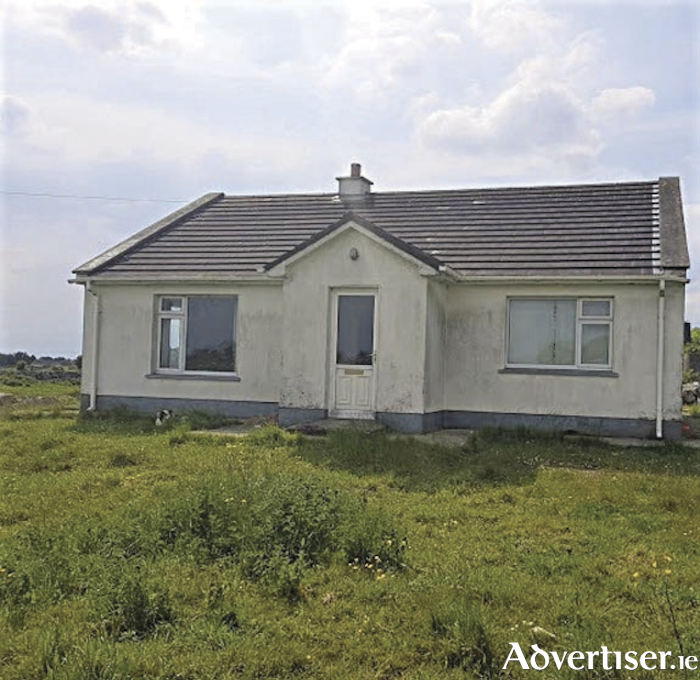 Located along the Wild Atlantic Way in picturesque and tranquil Aille, Inverin, to the left of the R336 road, this property is within a 30-minute drive of Galway city. The accommodation consists of entrance porch and hallway, sitting room/kitchen/dining, three bedrooms, and bathroom. The property needs refurbishment and modernisation but in the right hands it could become the perfect family home or an ideal weekend hideaway. Set on 0.48 hectare (1.43 acres ) the property has a total floor area of 82.66sq m (889.74sq ft ). Guide price is €200,000. The BER is E2.